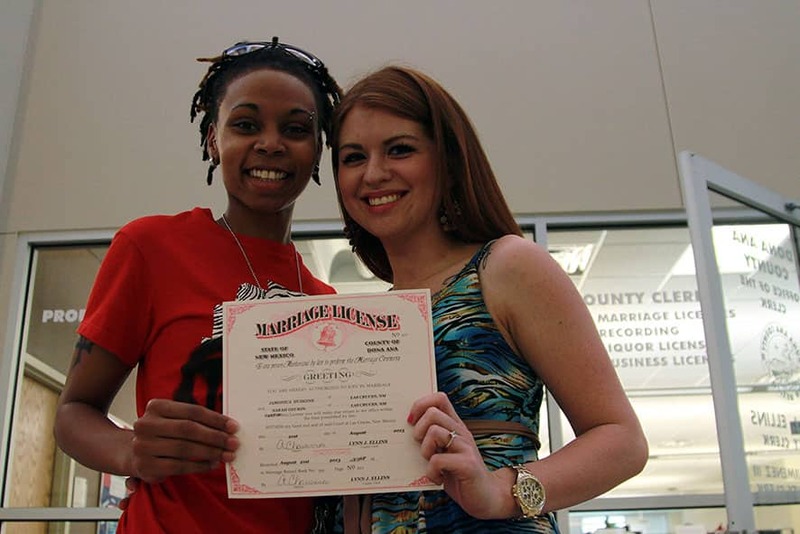 Sarah Santos and Jamonica Hudgin pose for a picture with their marriage license at the Dona Ana County Clerk`s Office in Las Cruces, New Mexico. White House deputy press secretary Josh Earnest speaks during his daily news briefing at the White House in Washington. 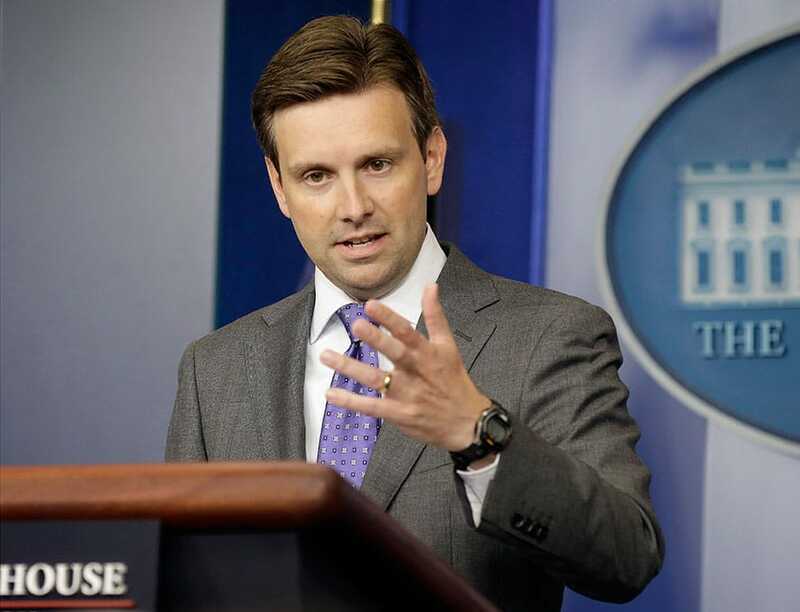 "The United States strongly condemns any and all use of chemical weapons," Earnest said in a statement. "Those responsible for the use of chemical weapons must be held accountable." 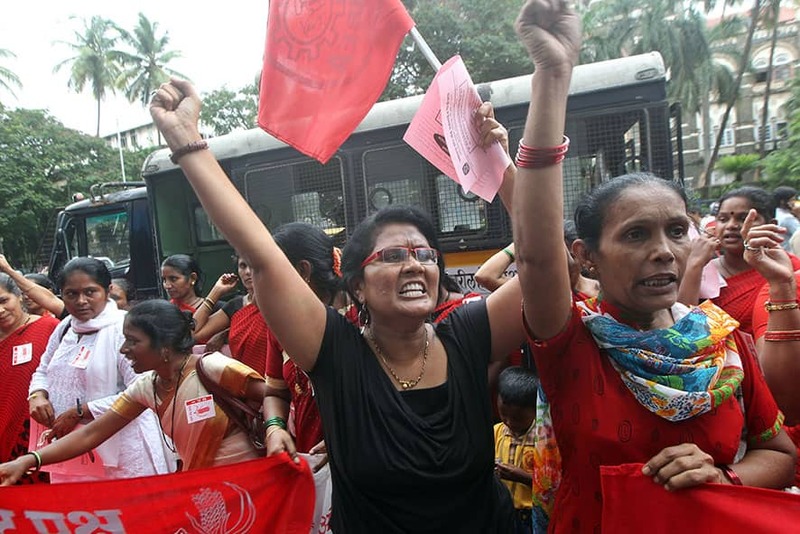 Women shout slogans during a protest against the killing of social activist Narendra Dabholkar in Mumbai. 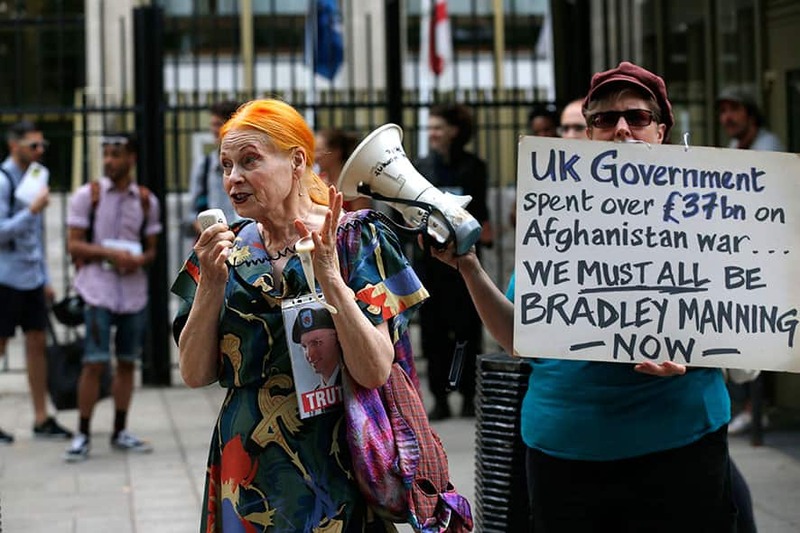 Supporter of US army Pfc Bradley Manning, British fashion designer Vivienne Westwood, left, addresses the protesters outside the US Embassy in London. 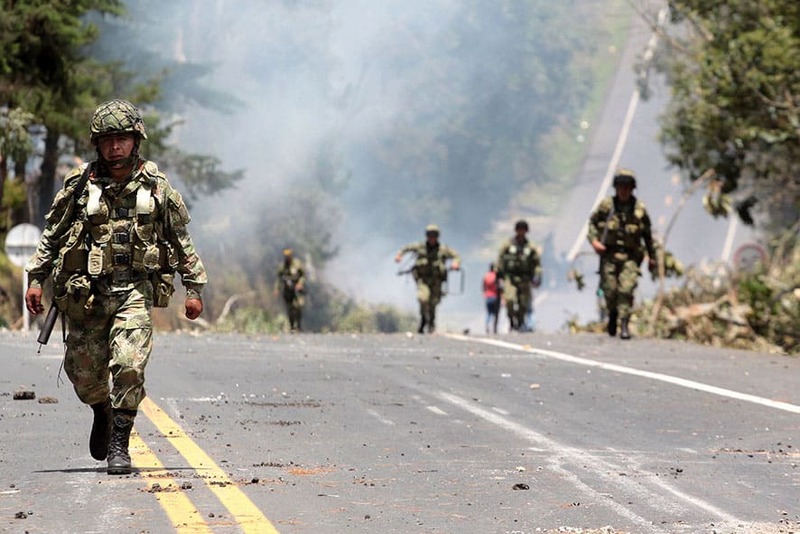 Army soldiers march along the Pan American Highway during clashes with protesters in Piendamo, southern Colombia. 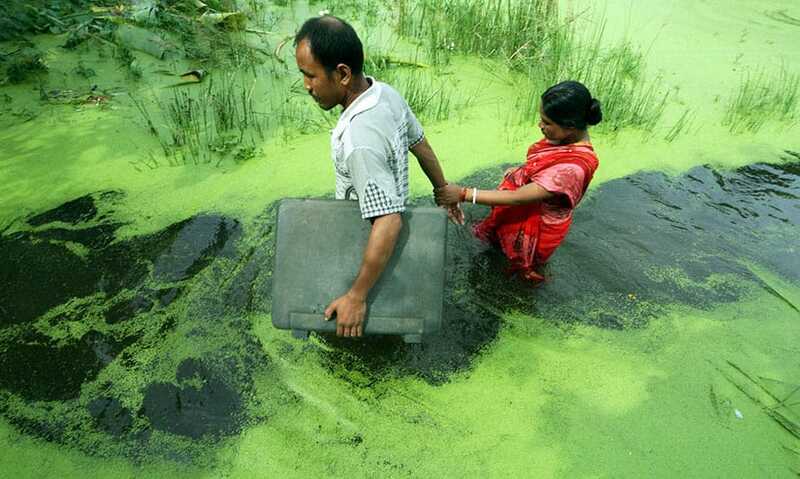 A couple wades through a waterlogged area following monsoon rains in Kolkata. India`s monsoon season, which runs from June through September, bring rains that are vital to agriculture but also cause floods and landslides. 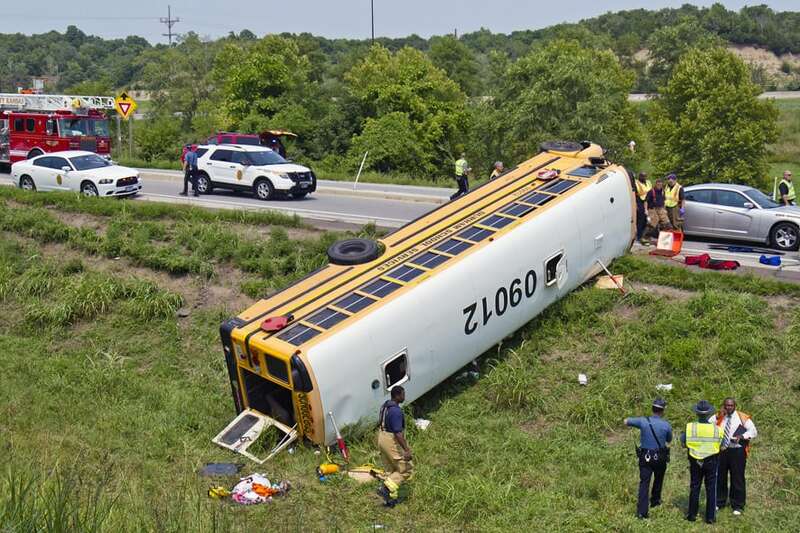 Officials investigate the scene of a school bus accident in Bonner Springs, Kan. One of two buses taking Missouri sixth-graders to an annual campout overturned in northeast Kansas on Wednesday, injuring at least 20 of those onboard, including the driver. 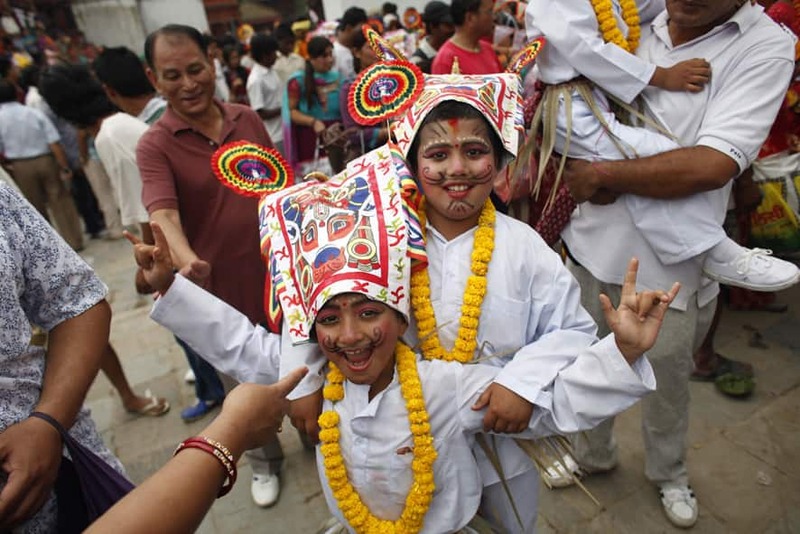 Nepalese Hindu boys in festival attire react to cameras during "Gai Jatra," or Cow Festival, in Katmandu, Nepal. Two Iranian suspect bombers, Saeid Moradi and Mohammad Kharzei leave the criminal court in Bangkok, Thailand. 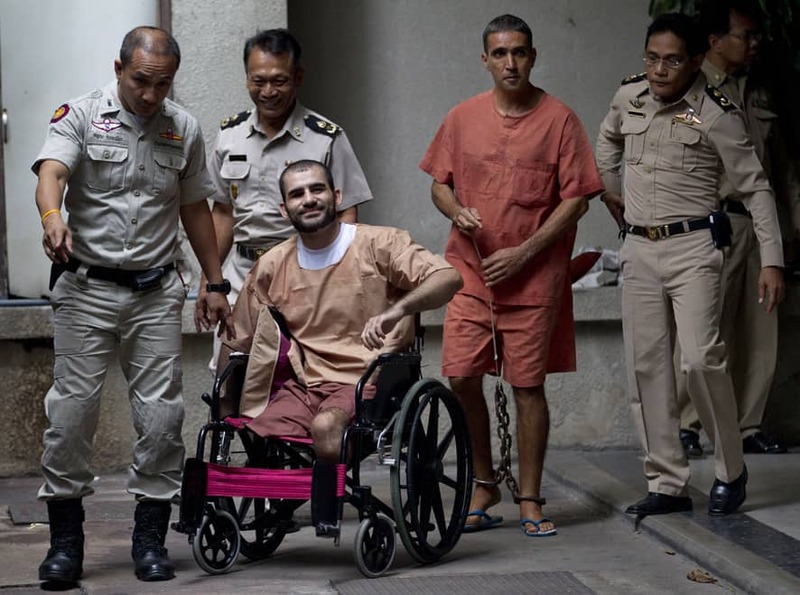 A Thai court sentenced Moradi to life in prison for attempting to murder a police officer and possessing explosives that damaged property and injured several civilians. 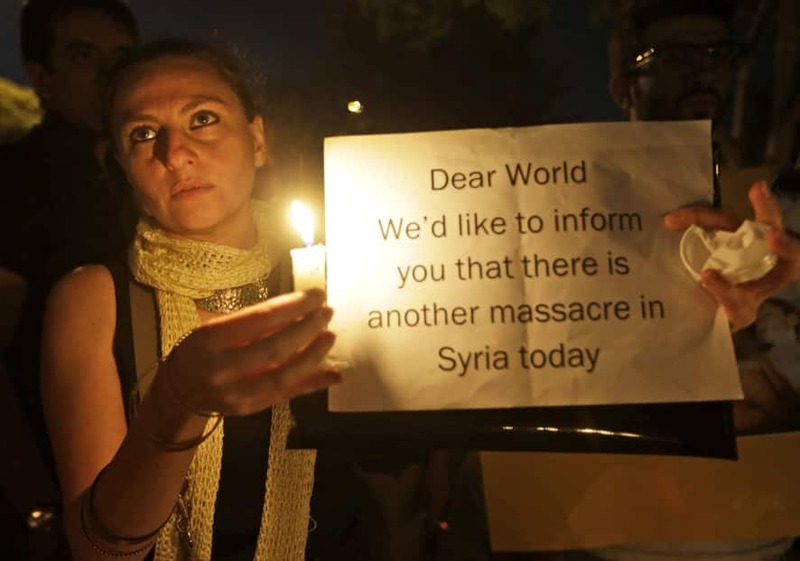 A Syrian woman who lives in Beirut, holds a candle and placard during a vigil against the alleged chemical weapons attack on the suburbs of Damascus, in front of the United Nations headquarters in Beirut, Lebanon. 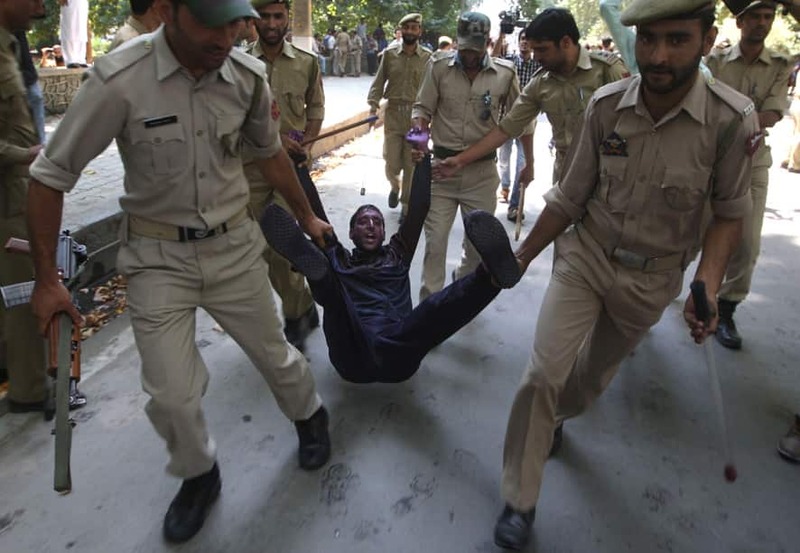 Jammu and Kashmir Policemen detain a Kashmiri government employee during a protest in Srinagar. 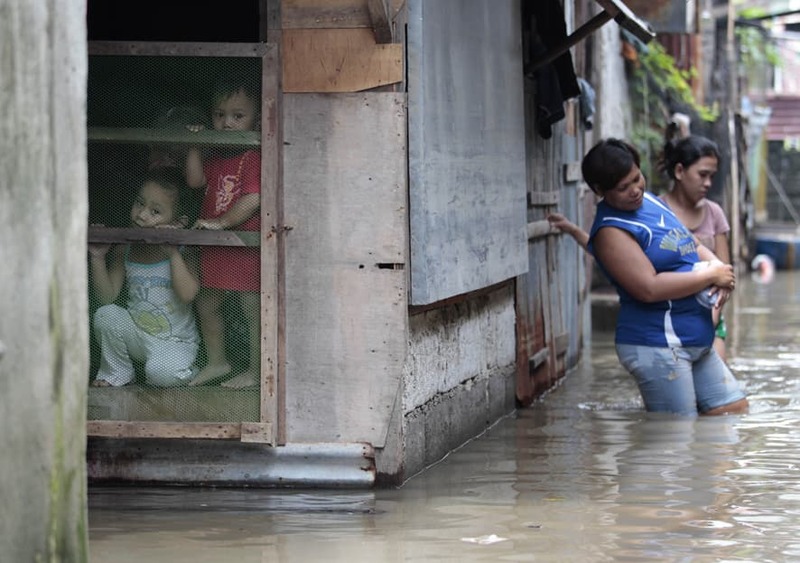 Filipino children stay inside their house surrounded by floodwaters on the banks of the swollen Laguna lake in Laguna province, southern Philippines. 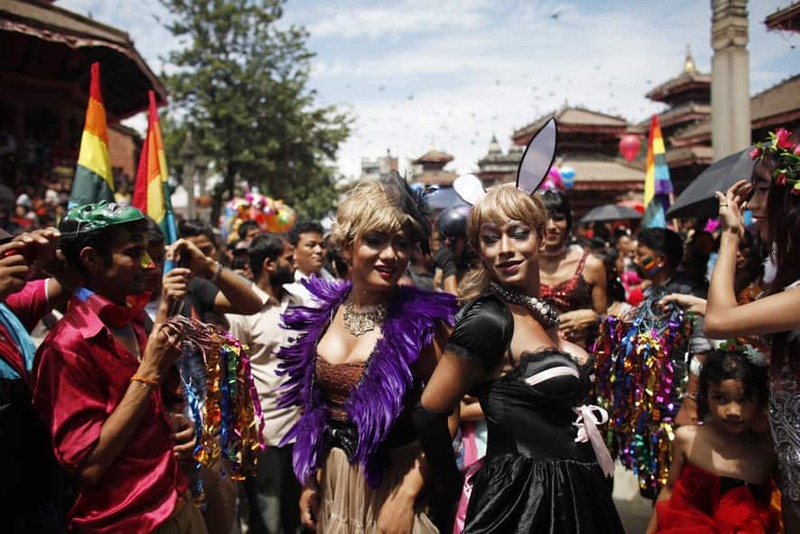 Participants dance in a Gay Pride rally in Katmandu, Nepal. About 1,000 people, including gays, lesbians, transvestites and their supporters hold the rally that has now become an annual festival for sexual minorities to celebrate and to demand rights for their community. 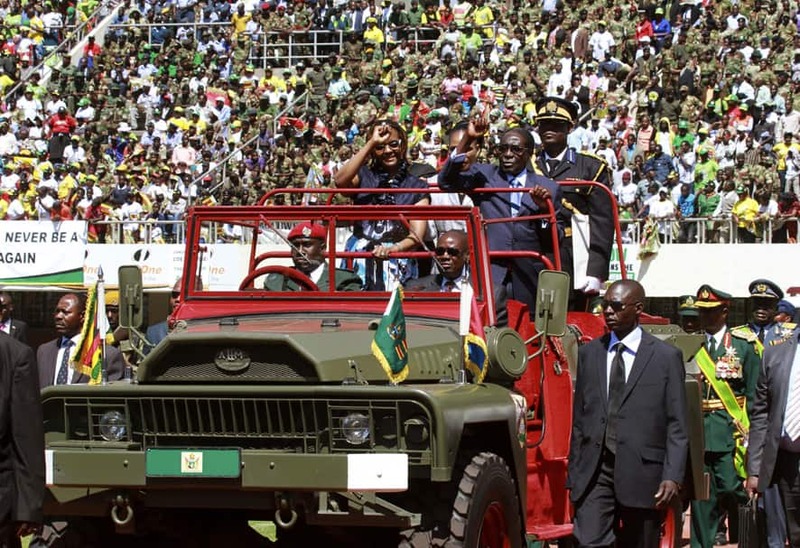 Zimbabwean President Robert Mugabe and his wife Grace greet the crowd as they arrive for his inauguration in Harare. 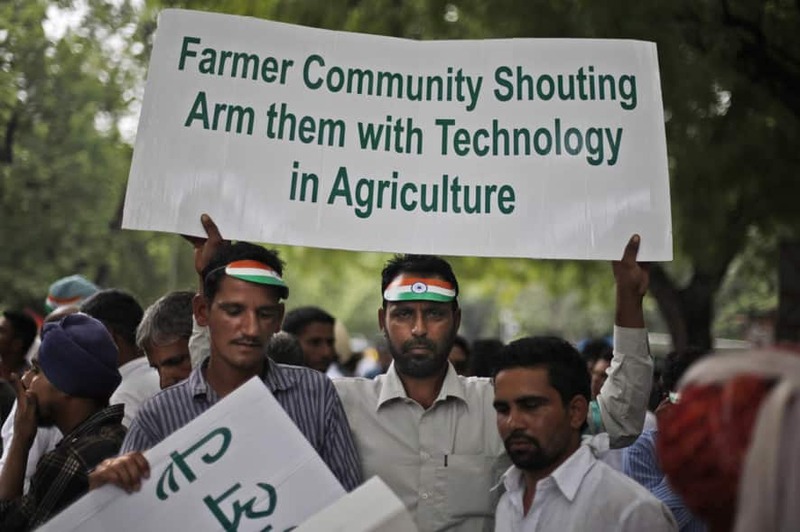 A farmer holds a placard as they listen to a speaker during a rally near the parliament in New Delhi. The farmers appealed to policy makers for infusion of technology to increase productivity and sustenance of agriculture. 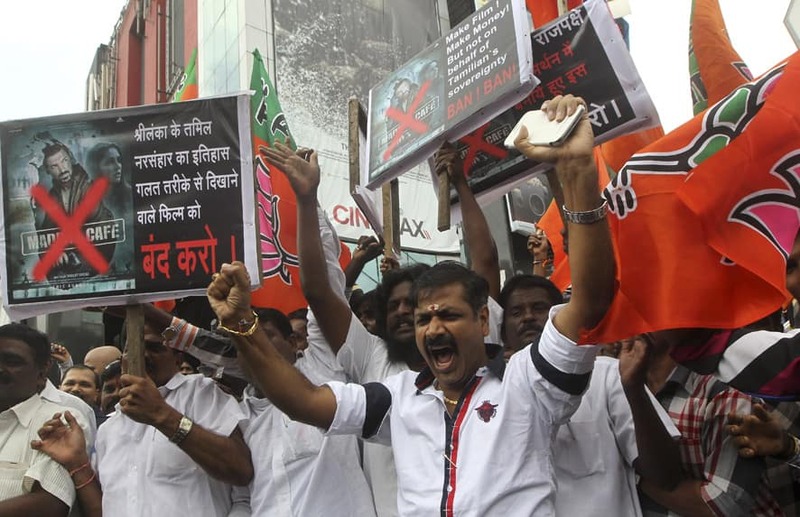 Protestors shout slogans against upcoming Bollywood film Madras Cafe in Mumbai. 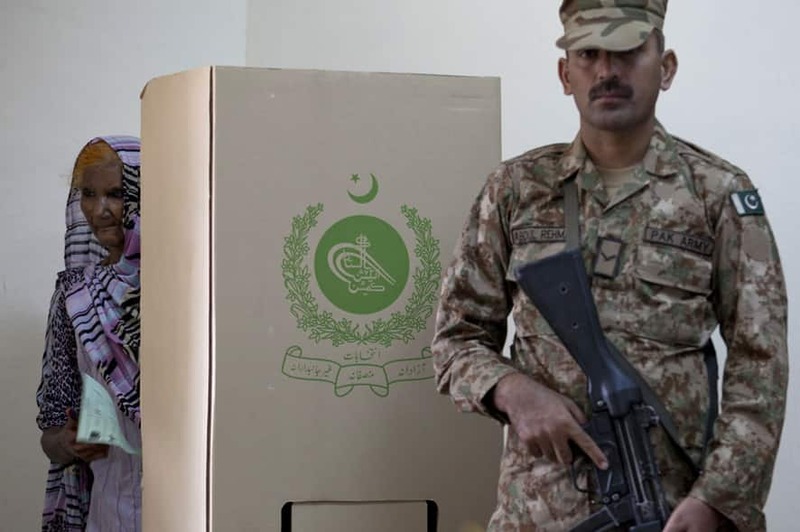 An elderly woman carries a ballot as a Pakistani army soldier stands alert during elections in Islamabad, Pakistan. Greenpeace activists sit on a stage resembling ice, with oil spread over their bodies, protesting against oil search drilling in the Arctic Sea in Warsaw, Poland. 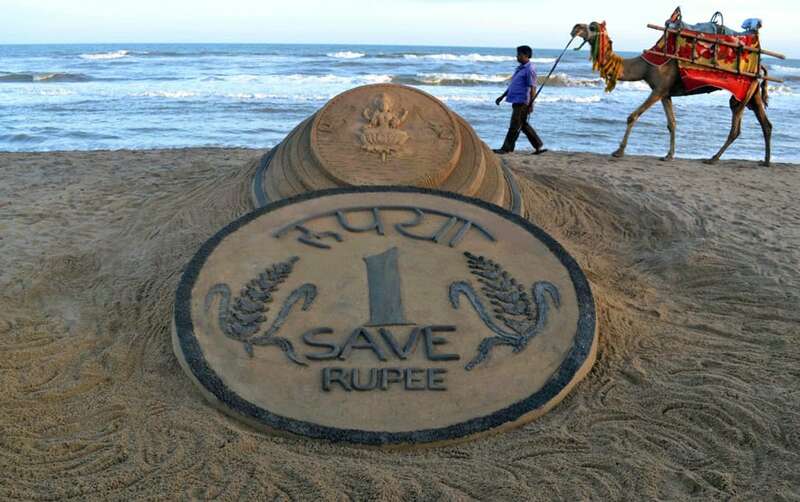 A man walks past a sand sculpture of a rupee coin on a beach in Puri.